The Ambanis of India top the list of Asia's richest families in 2017, according to the Forbes' coverage of Asia's 50 Richest Families 2017, becoming this year's biggest gainer in dollar and percentage terms. 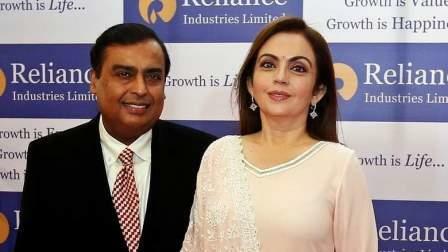 Shares in Mukesh Ambani's conglomerate Reliance Industries soared, due to improved refining margins and the demand produced by its telecom arm, Reliance Jio, which notched up 140 million subscribers since it launched in 2016. The net worth of the Ambanis increased by $19 billion to $44.8 billion and claimed the No.1 spot, superseding the Lees of the Samsung empire to claim the No. 1 spot, a report states on the Forbes website. However, the South Korean family Lee (Byung-Chull) still saw its wealth swell by $11.2 billion. Other Indians on the Forbes' list are the Premjis at No. 11 with net worth $19.2 billion, Mittal clan at No. 14 with $17.2 billion, Birlas grabbed the 19th spot with $14.1 billion and Godrej family at No. 20 with $14 billion. The list has in total 19 of India's richest families. Indeed, 43 clans from the 2016 list added to their net worth from a year ago. A key reason: Asia's stock markets jumped 25% overall for the year ended October 31, according to the MSCI AC Asia Index. Collectively, the 50 families on our list are worth a record $699 billion, up by nearly $200 billion from last year.